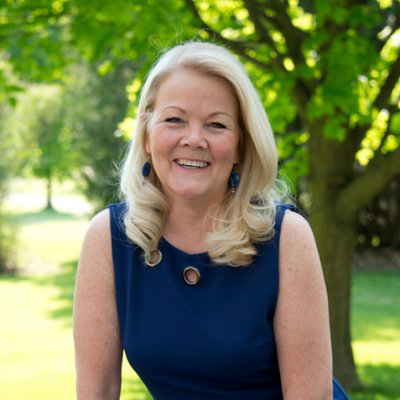 Ten days after the submission of a second appeal to the Conservative National Council alleging “several irregularities” with the Dufferin-Caledon Tory nomination process, Barb Shaughnessy, one of the three unsuccessful candidates, says she has documentation proving out-of-riding residents may have voted in the process. Harzadan Singh Khattra emerged as the somewhat surprising winner of the nomination, which local Conservative members voted in on March 19. He beat out Kevin Weatherbee in the final round of voting, after Ms. Shaughnessy and former Orangeville Mayor Jeremy Williams had been eliminated in the ranked ballot voting system. As reported in last week’s Citizen, Ms. Shaughnessy filed an initial appeal on March 21, two days after the nomination. In that appeal, she stressed it does not specifically contest the vote tally, but rather calls into question the eligibility of some persons who may or may not have voted. That appeal was quickly rejected. A second appeal was then lodged with the Conservative National Council. A decision was expected to come down late last week, but as of press time on Wednesday evening (April 10), a final determination had yet to be made. Speaking to the Citizen this week, Ms. Shaughnessy confirmed that her team had submitted additional documentation to the National Council that, in her words, shows that ineligible members had voted during the local process. When asked if she was claiming that out-of-riding residents had been allowed to vote in this nomination process, Ms. Shaughnessy replied with a simple “yes”. When approached by the Citizen, Mr. Khattra categorically denied the allegations, labelling them as false. “There is nothing further that needs to be said beyond that,” Mr. Khattra stated. When asked if he was surprised to hear of multiple appeals being launched, essentially contesting his nomination, Mr. Khattra simply maintained his belief that neither he, nor his team, had done anything wrong. “Anyone would be surprised to hear an appeal. However, since my campaign didn’t do anything wrong, to my best belief, I’m anticipating a positive result in my favour,” Mr. Khattra said. Reiterating why she felt it necessary to submit an appeal in the first place, Ms. Shaughnessy said she was simply following up on requests from “many, many people in the riding”. On top of allegations that out-of-riding residents voted in the Dufferin-Caledon nomination, Ms. Shaughnessy last week claimed that ineligible international students “may, or may not, have voted” too during the process. During the nomination, only permanent residents and citizens of Canada were eligible to vote. In other, more concerning, claims, Ms. Shaughnessy says she has spoken to individuals who have refused to divulge information “out of fear”. Asked when she expects to learn of the National Council’s decision, Ms. Shaughnessy said she really didn’t have a timeline, but noted the fact nothing had been heard yet at least showed the issue was being “strongly considered”. “At this point, I’ve provided the National Council with everything that I can. I would love a decision. I’ve put myself out there, it would be nice to hear back, but all I can say is, if they’re taking their time, they’re taking their time because they understand the gravity of this issue. I would say they’re reviewing everything carefully. I’d rather they do that than come back quickly with a rushed decision,” she concluded. “I have been meeting with residents and party members in the riding to discuss Justin Trudeau’s carbon tax, housing affordability and the challenges facing seniors. The Liberals are making life very unaffordable for middle class families in this riding,” Mr. Khattra said. In conclusion, in referencing the appeal, Mr. Khattra said he has confidence in the system and is looking forward to the National Council making a final decision. “Appeals are not uncommon in nomination races. The first appeal has already been rejected and I am waiting to hear back from National Council about the second appeal. I understand that some Conservative members may be disappointed that their candidate didn’t win, but we need to stay united to defeat Justin Trudeau and his failed policies in the fall,” Mr. Khattra said.